Managing social accounts, especially for popular accounts can be a challenging task. To help manage a large account, you’ll want multiple people to respond to users, this is particularly useful if the account is used for customer support. TweetDeck Teams is a simple way to share access to Twitter accounts without sharing passwords across a number of users. 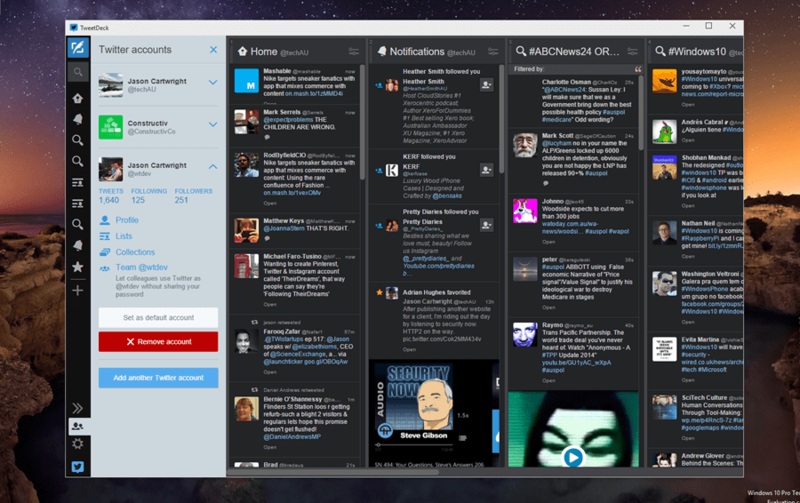 The feature is starting to roll out today on TweetDeck for web, Chrome and Windows. If you are still using a legacy TweetDeck account, it’s time to switch over! TweetDeck Teams is a simple solution to Twitter account sharing. It enables users to delegate access to as many people as they like, and remove accounts when they no longer need access. TweetDeck Teams has two types of roles: admin and contributor. If you currently manage and share a Twitter account, here are a few steps to get ready to use TweetDeck Teams. Let’s use @TwitterMedia as an example. As the owner of @TwitterMedia, log in to TweetDeck using the Twitter account credentials, and from the navigation bar, select Accounts. Type the name of the account(s) you want to have access to@TwitterMedia. Select Authorize and an email will be sent to the account. (For this example, let’s say the user being authorized is @bobiltomore). Bo will need to Accept the invitation in TweetDeck to contribute. The email address associated with@TwitterMedia will receive an email that @bobiltimore has been added to the team. Tip: If you’re currently sharing your account, you can change the password and revoke app access to ensure that from now on only the people you’ve just added will have access. It’s crazy it’s taken Twitter this long to implement this very necessary feature to manage accounts. The workaround of sharing account credentials is definitely happening and is a massive risk to organisations. Other services like HootSuite have offered this team management of accounts for years now as a paid service. Of my 3 accounts, only one currently has Teams enabled.